African Railway Education and Research Institute (ARERI) is one of African Center of Excellency supported by the World Bank. The aim of the center is to strengthen railway professionals’ development through short term training, MSc and PhD level education, and research in Ethiopian and the region at large. To this effect ARERI is offering scholarships to citizens in African countries to pursue MSc/PhD studies in Railway Engineering for the second semester of 2016 / 2017 academic year. For MSc applicants: Applicants should have Bachelor’s degree qualification with at least a CGPA of 3.00/4.00 for males and 2.5/4.00 for females (Countries which uses other grading should be converted to 4.00 scale). For PhD applicants: Applicants should have MSc degree qualification with at least a CGPA of 3.50 for males and 3.25 for females (Countries which uses other grading should be converted to 4.00 scale). For Ph.D., research proposal including a detailed work plan (10 to 15 pages). Plagiarism will be checked! Scholarships are available for two years (Master) or four semesters only and four years for PhD. The scholarship will be initially granted for one semester and may be extended for those who completed the first semester successfully. All the above documents should be scanned in PDF in one document. Applicants who submitted separately will not be accepted. Selected candidates may take entrance exam and score a pass mark. Tuition fee plus stipend. Stipend includes living cost, health insurance and transportation (stipend will be from $500 – 700 for MSc and 700 – 1,000 for PhD per month per student). Self sponsored applicants are highly encouraged and half of the tuition fee will be exempted. 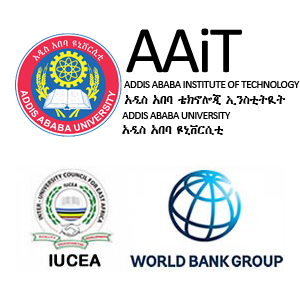 The application procedure for this scholarship will be done by ARERI, Addis Ababa Institute of Technology, Addis Ababa University.